For almost six months, a banner on the side of Galleria VI has advertised something called “Spice Route” as a companion to Blanco Tacos & Tequila, Fig & Olive, and Nobu. But what is “Spice Route?” And how does it compare to two prominent, New York-based restaurant brands and a Mexican restaurant from Fox Restaurant Concepts, the Arizona-based company behind North Italia and True Food Kitchen? First of all, the banner didn’t provide Houstonians with the restaurant’s complete name. Rather than “Spice Route,” it’s called Musaafer by The Spice Route Company (pronounced "mu-sa-fer"). 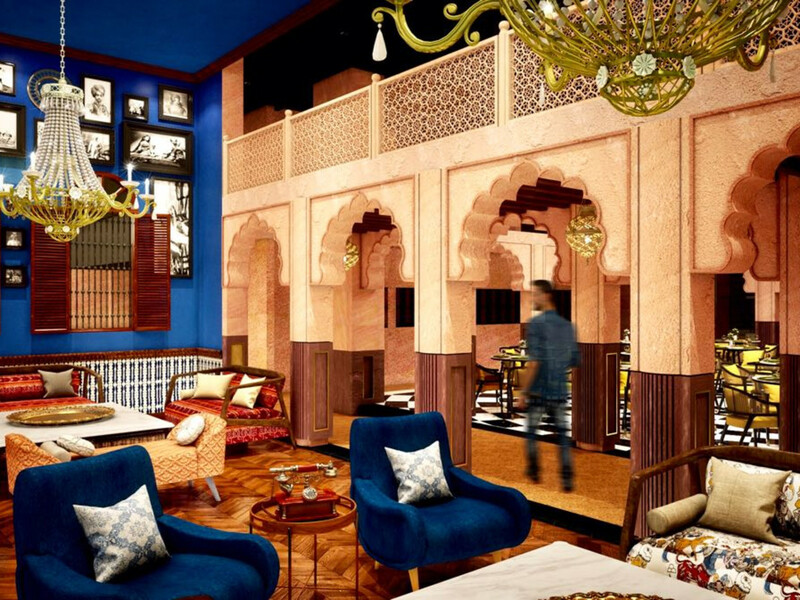 The name, which is derived from the Hindi word for “traveler,” offers some insight into the goals owners Shammi and Mithu Malik have for the restaurant, which will be the Dubai-based Spice Route Company's first American restaurant. Simply put, Musaafer wants to take Houstonians on a culinary journey to parts of India they likely haven't experienced before. As Mithu Malik explains to CultureMap, most of the Indian restaurants in America focus on northern Indian cuisine. 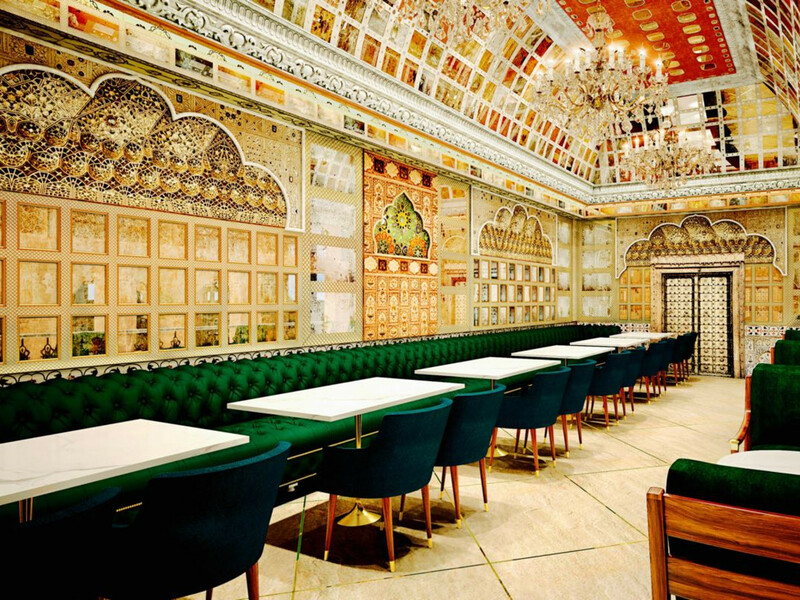 At Musaafer, they intend to take diners beyond familiar favorites like butter chicken or chicken tikka masala, which Malik says “doesn’t really exist” in India. The couple wants to bring a more authentic taste of their homeland to the United States. 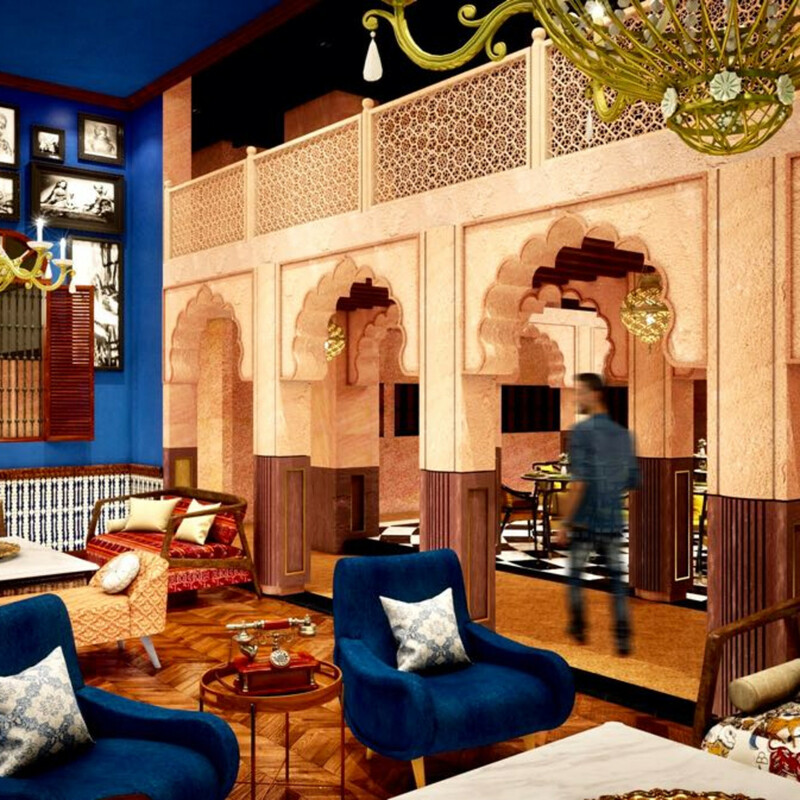 “We wanted to bring the food in its entirety, not limited to one part of India, but bring all of the country and serve it the way I would like to eat it,” Malik says. 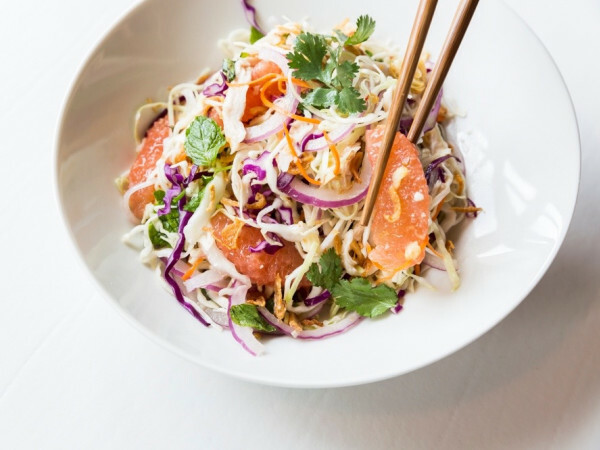 They chose Houston for the restaurant’s first location — the plan is to grow nationwide — for several reasons. To achieve that goal, they sent chefs Mayank Istwal and Shivek Suri on a 100-day journey across the country. 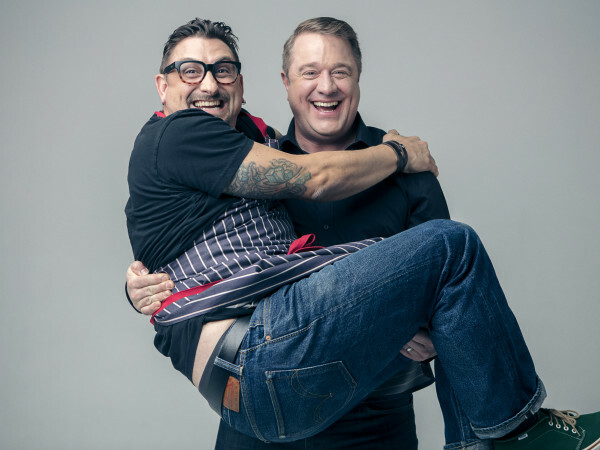 The chefs collected recipes everywhere they visited, from big cities to tiny towns. The result of those efforts range from a dozen different regional versions of the garam masala spice blend to enough elevated recipes to power a multi-course tasting menu that's designed to take diners on a journey across the country, but the restaurant will offer a variety of experiences. 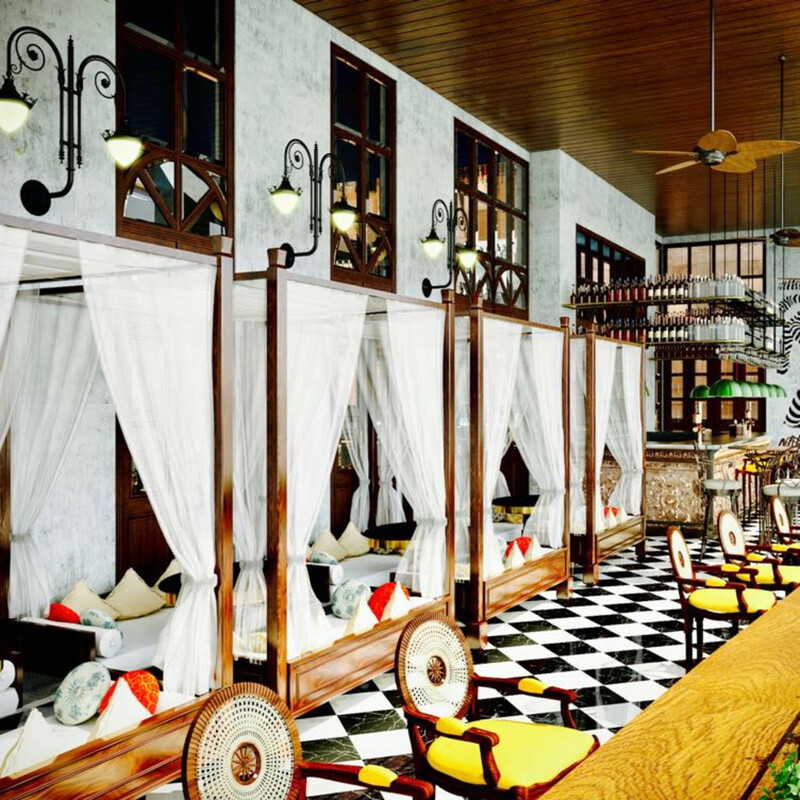 A bar menu and an a la carte menu will also be available for diners who want more say in their experience. Not surprisingly, it won’t just be the food that will have diners feeling like they took a flight to Mumbai. 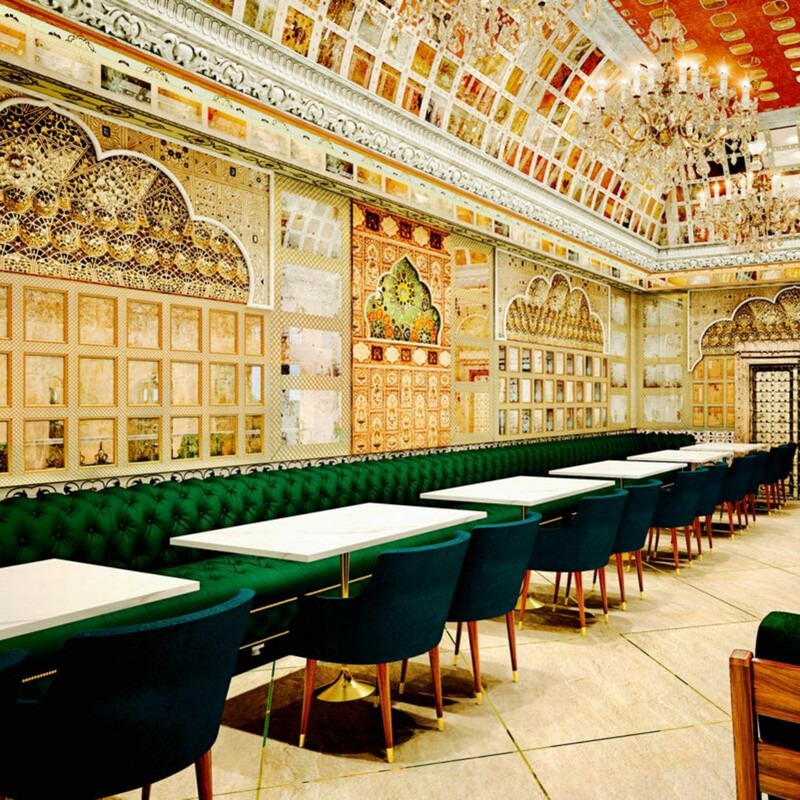 The Maliks hired Chromed Design Studio, an award-winning, New Delhi-based firm, to craft elaborate interiors for the 10,000-square-foot space; if the renderings displayed above are accurate, Musaafer will be one of Houston’s most colorful restaurants. 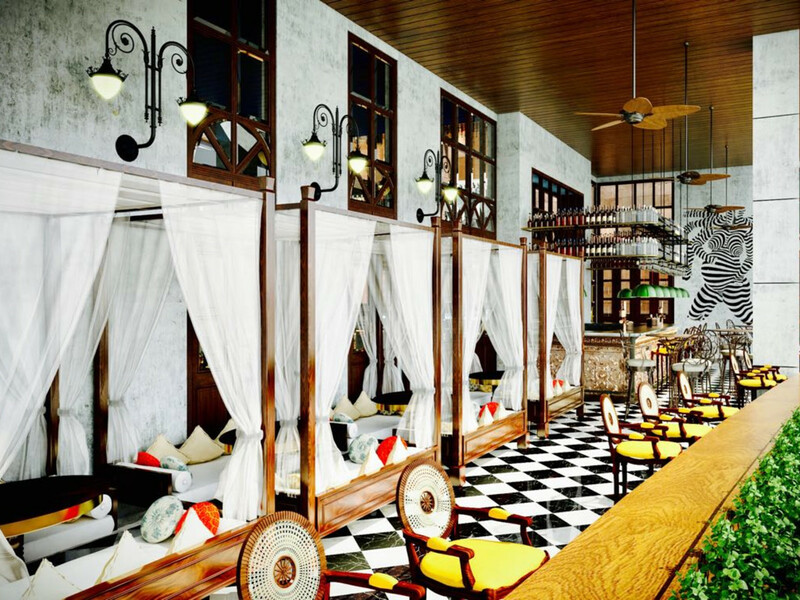 That’s certainly an ambitious goal, but it’s one that Musaafer will have to achieve if it wants to stand out from both its Galleria-area competition like Yauatcha, Caracol, and Steak 48 and Houston’s high-profile Indian restaurants like Himalaya, Pondicheri, and Kiran’s. Then again, the city has seen high-profile, high-style restaurants with out of town owners before — remember when Katsuya by Starck was going to revolutionize Japanese-inspired dining or Bradley Ogden was going to open 200 Funky Chickens across the country? Let's put this another way. With the sports world still buzzing about the results of last week’s NFL draft, perhaps it’s best to compare Musaafer to first overall pick Baker Mayfield. No player has a higher ceiling or a lower floor. Either the Heisman trophy winner will lift the Cleveland Browns to a bright future or he’ll be the latest in a string of quarterback busts for the downtrodden franchise. So it is with Musaafer. 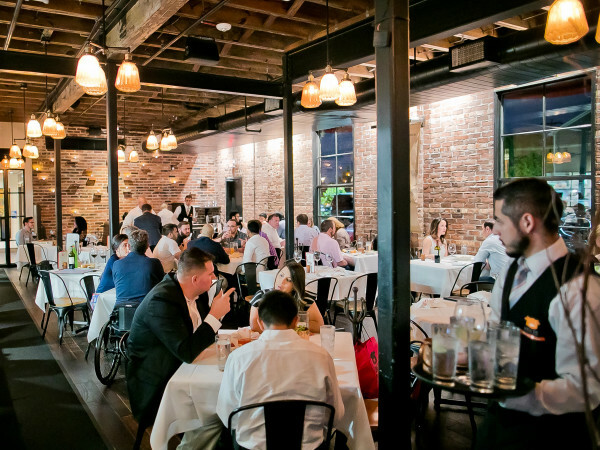 No restaurant that’s opening in Houston this year has more potential to become either a smash hit or a cautionary tale. Hopefully, it's the former.